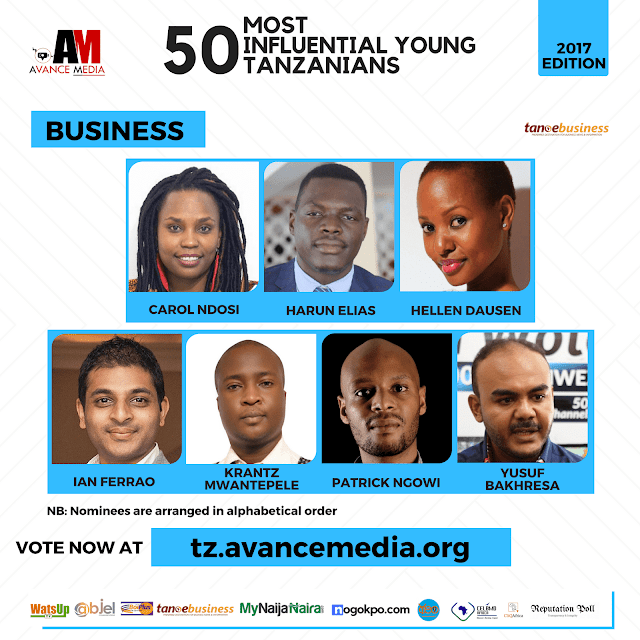 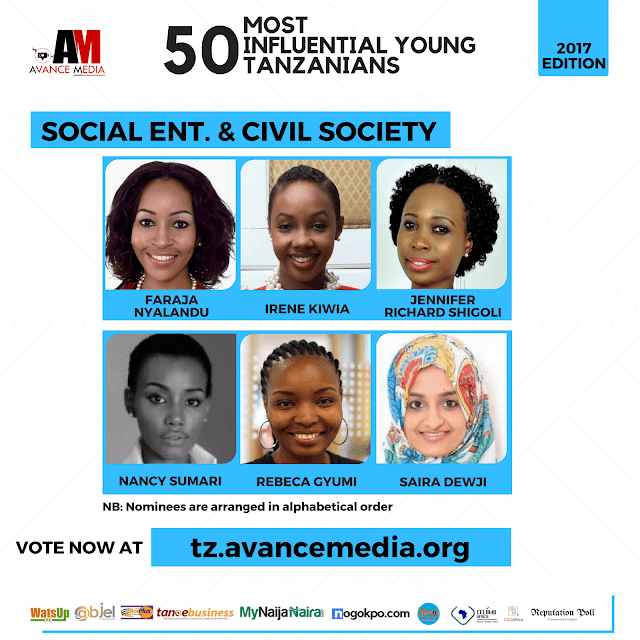 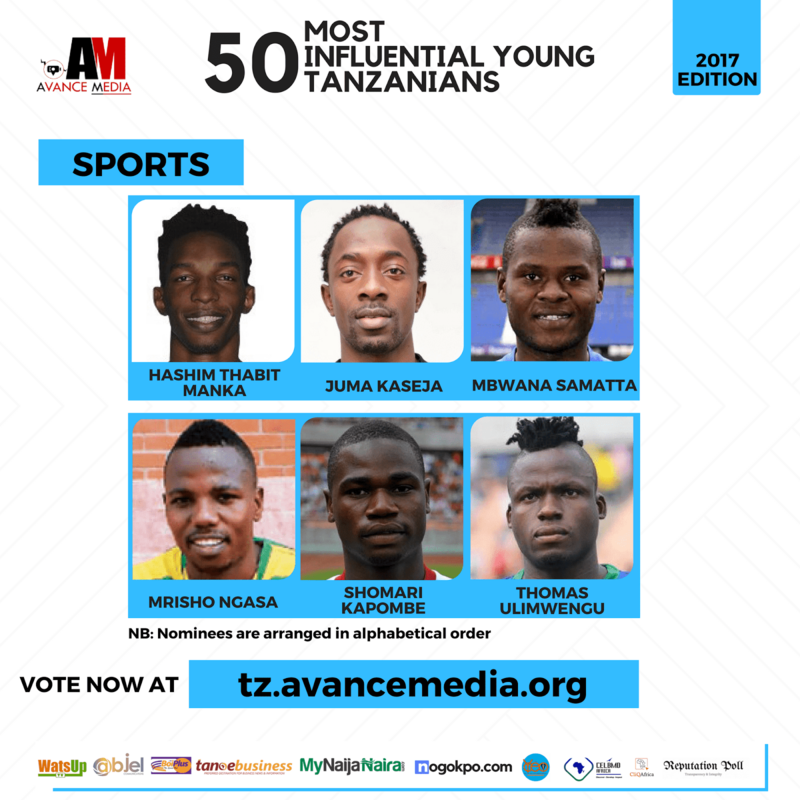 Finalists for Avance Media’s 50 Most Influential Young Tanzanians ranking 2017, honouring distinguished young Tanzanians, have been announced. 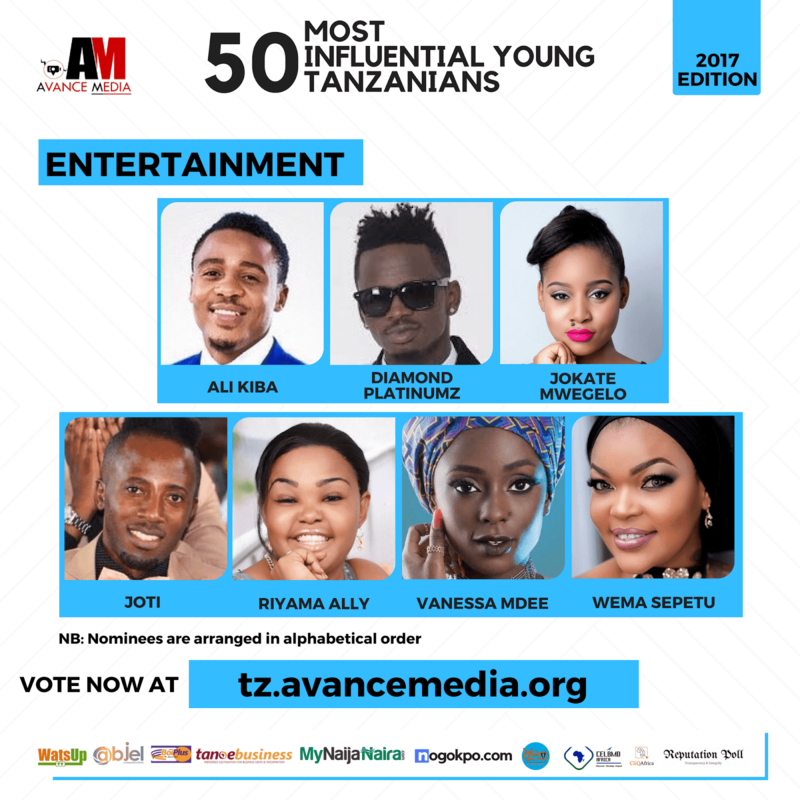 The 50 Most Influential Young Tanzanians ranking recognizes distinctive service across 8 different categories: Business, Entertainment, Law and Governance, Lifestyle, Media, Science and Technology, Sports and Social Enterprise &Philanthropy. 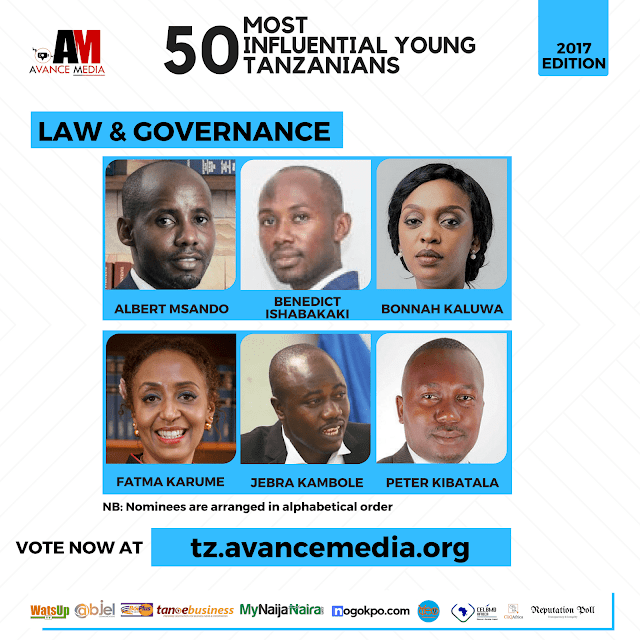 Winners will be announced on 8th January, 2018. 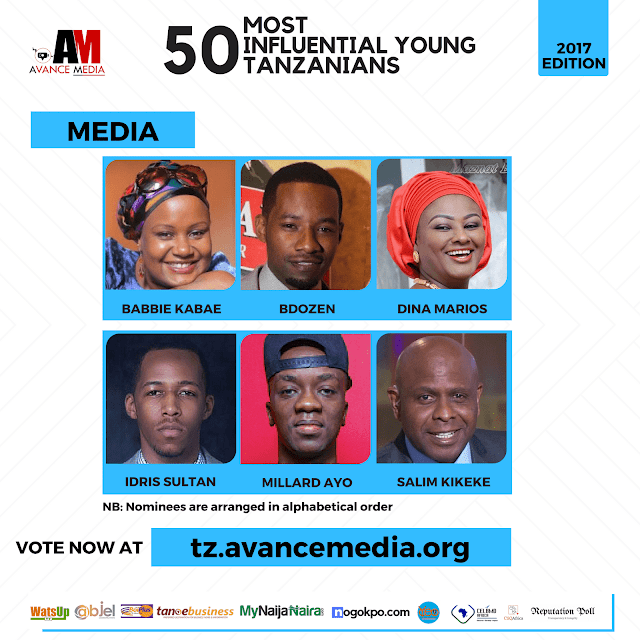 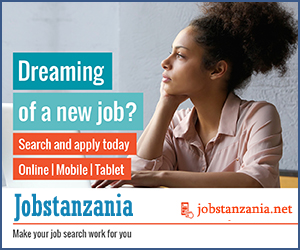 Hailed as one of the most credible, Avance Media’s Most Influential Young Tanzanian rankings is the most respected system that honours youth excellence in Tanzania. 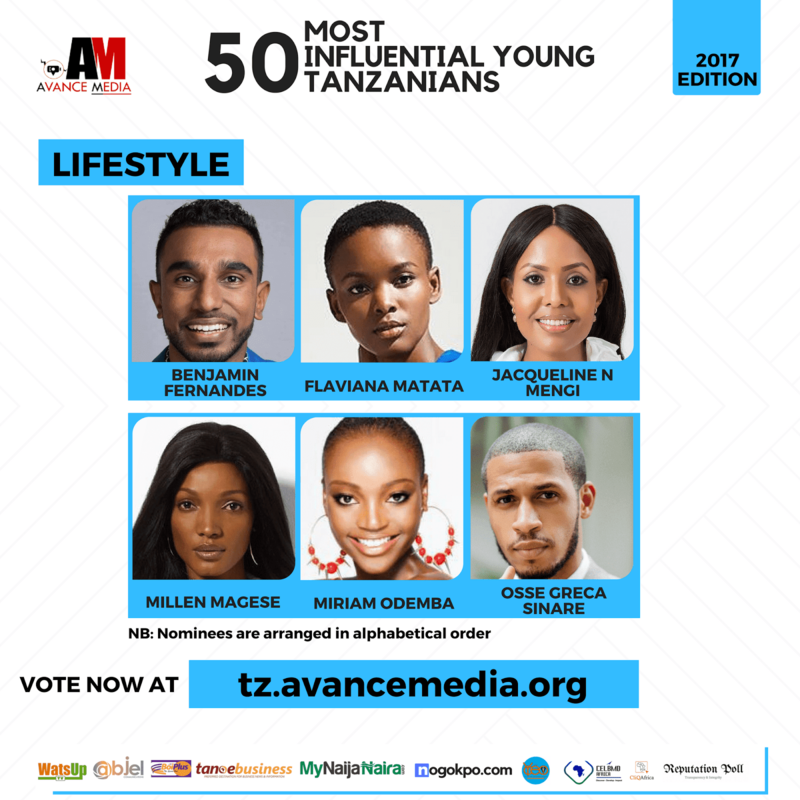 Public voting has officially opened on tz.avancemedia.org to determine the overall 2017 Most Influential Young Tanzanian, and winners for the 8 categories. 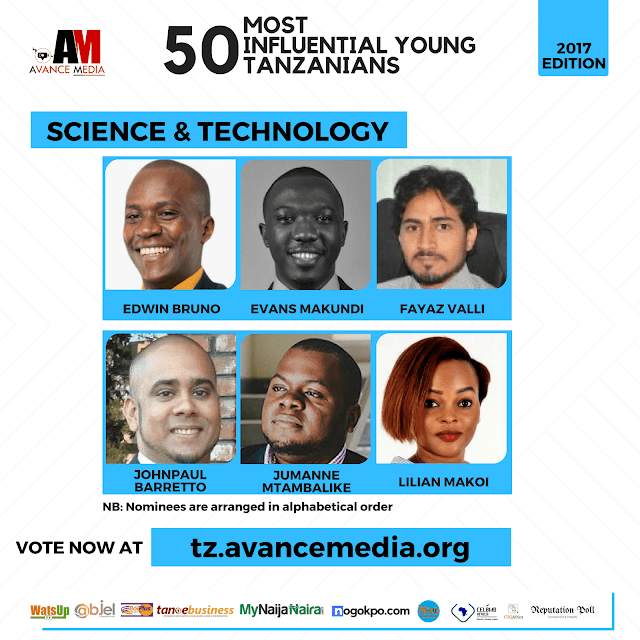 Similar rankings by Avance Media and partners are currently ongoing in Cameroon, Ghana, Nigeria, South Africa, DR Congo and Kenya. 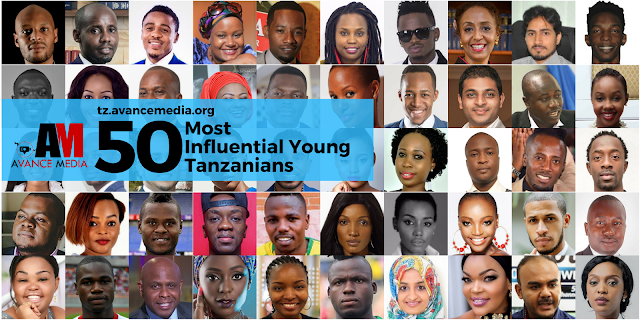 The 50 Most Influential Young Tanzanians ranking is proudly organised by Avance Media in partnership with BioPlus, ReputationPoll.com, Abjel Communications, WatsUp TV, YCEO, TANOEBusiness.com, My Naija Naira, Dream Ambassadors Foundation GH, CliqAfrica and CELBMD Africa.